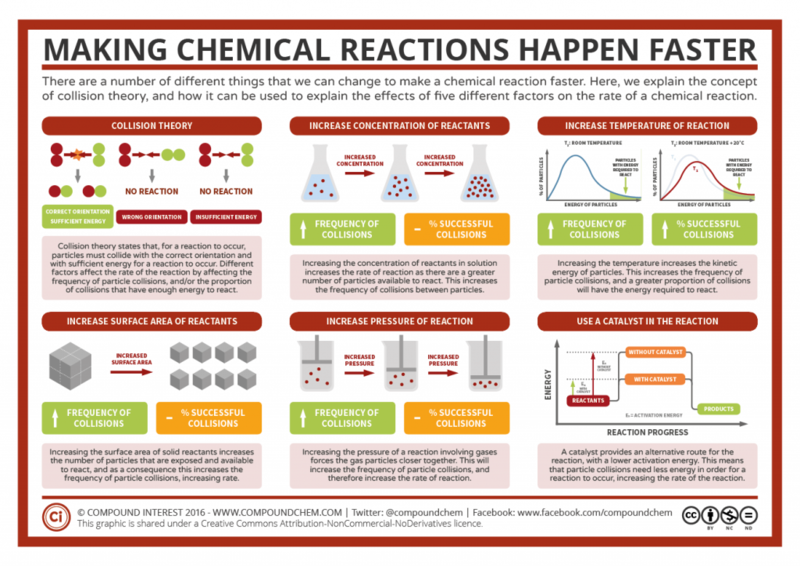 GCSE Bitesize has revision pages (that take you through the topic), a test and an activity – click on Rates of Reaction. GCSE s-cool – Rates of Reaction – revision notes & animations, practise exam questions and a revision summary.Skoool Chemistry – click on ‘6. Rates of Reaction’ for excellent lessons that take you through the topic; also a glossary of key terms. Chemactive worksheets and answers just click on ‘Rates questions’. This entry was posted in C7 Chemical Reactions and tagged catalysts, collision theory, collisions, concentration, particles, reactions, redox, speed, temperature on September 7, 2013 by Mr Cartlidge. Five minutes on how to speed up chemical reactions (and get a date) from TED-Ed. GCSE Bitesize – two videos – Rates of Reaction (3m 18s) or Rates of Reactions (4m 40s) & Bitesize Top 20 Science Demos – Rates of Reaction (5m 51s). This entry was posted in C7 Chemical Reactions and tagged catalysts, collision theory, collisions, concentration, particles, reactions, speed, temperature on September 7, 2013 by Mr Cartlidge. BBC Short Circuit Redox Changes – a 19m video. This entry was posted in C7 Chemical Reactions and tagged electrons, oxidation, redox, reduction on September 7, 2013 by Mr Cartlidge.